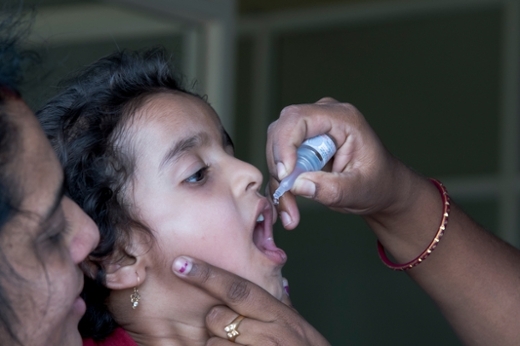 An interdisciplinary team will spearhead the study to assess how and why several countries (including Nepal, Senegal, India, and others) succeeded in rapidly increasing vaccination coverage rates and sustaining high coverage rates long term. Researchers at the Emory Rollins School of Public Health have received a two-year, $1.5 million-dollar grant from the Bill & Melinda Gates Foundation for a project focused on immunization programs in low income and low-middle income countries. An interdisciplinary team led by Matthew Freeman, PhD, MPH, and Robert A. Bednarczyk, PhD—in coordination with partners at Georgia Tech— will spearhead the study to assess how and why several countries (including Nepal, Senegal, India, and others) succeeded in rapidly increasing vaccination coverage rates and sustaining high coverage rates long term. The study team draws from the fields of implementation science, epidemiology, behavioral science, political science, public policy, business, industrial engineering, and operations research. The researchers aim to provide country leaders and global immunization partners with actionable recommendations for intervention design and testing moving forward. The Global Vaccine Action Plan (GVAP): 2011-2020 set global targets for all countries to achieve 90 percent diphtheria-tetanus-pertussis coverage at the national level and 80 percent coverage at the subnational level by 2020. While important progress has been made toward reaching these goals, many countries are not on track to meet the GVAP targets. In fact, according to recent data from the World Health Organization (WHO) and United Nations Children’s Fund (UNICEF), nearly 20 million children missed out on basic vaccines in 2017. “Vaccines have been one of our most important public health interventions, and in recent years we have seen great gains in vaccination coverage globally. The findings from this project will support efforts to keep improving children’s health through high and equitable vaccination coverage rates.” says Bednarczyk. Through this grant project, the researchers will provide actionable insights and guidance for ways to catalyze and enable improvements in the performance of immunization programs to protect more children with the full course of vaccines.